Bryce Newman has achieved a lot in his long and varied career with horses, and on Saturday he celebrated his biggest success in racing. 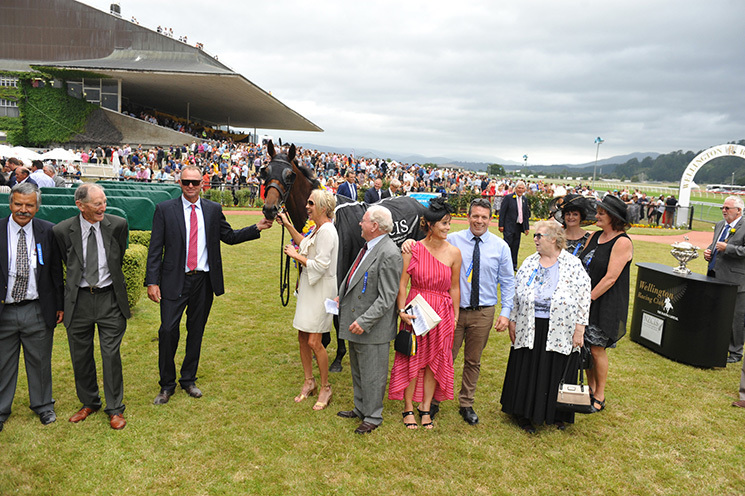 The Bulls horseman trained his first black-type winner and did it in style, saddling Gorbachev for a thrilling victory in Trentham’s famous $250,000 Gr. 3 NZ Campus of Innovation & Sport Wellington Cup. Newman is an experienced and accomplished equestrian who has represented New Zealand in eventing. In that field, his fate was always in his own hands. At Trentham on Saturday he could only watch from the stands as teenage jockey Ryan Elliot got the very best out of Gorbachev down the straight for a nose defeat of South Island raider Dee And Gee. “Compared to equestrian, I don’t actually get very nervous in these situations,” Newman said. “I like to think I don’t get nervous doing this and I have it under control, but that last 100 metres, I almost got excited there. In and around his equestrian and other equine commitments, Newman has maintained a small racing stable since first taking out his licence in the 1999-2000 season. He has never had more than a small handful of horses in work, and this was clearly a new pinnacle of his racing career. Gorbachev is clearly the stable star, and he joined Newman’s stable following the untimely death of Group One winner Tony Kaye. “He started with Tony Kaye and came to us as a bit of a problem horse,” Newman said. “It’s all water under the bridge now as we just trained him on the farm and tried to do different stuff with him. The Cup win stands at the top of a growing list of racing achievements for Newman. His runners have won four races and more than $205,000 in prize-money this season – easily his best in terms of prize-money, and rapidly closing in on his top mark of five wins in 2012-13.